Please login to change your GreenBoxDay profile. You can change the email address we send your recycling reminders to as well as when you want to receive you emails. 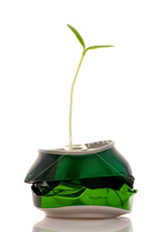 Look for goods with less packaging or packaging which is easily recycled and avoiding plastic packaging where possible. Five out of six glass bottles are thrown away.